Pistachios are a healthy snack in moderation. They can help reduce the risk of heart disease. They are rich in the amino acid arginine, phytosterols and unsaturated fat – all of which promote heart health. They are a good source of polyphenol antioxidants, which protect against oxidative stress and inflammation. They can promote eye health and provide fiber. 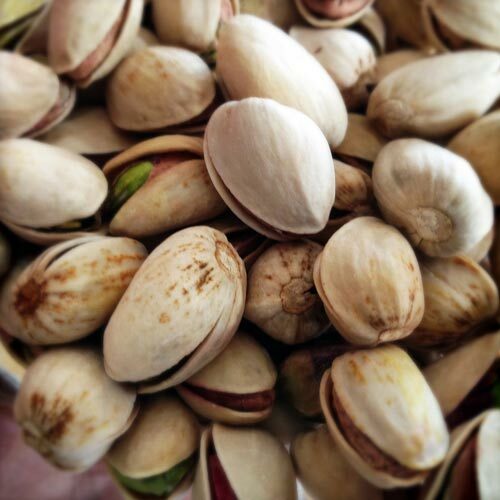 Pistachios have heart-healthy fats and a very good nutritional profile. The California Pistachio Commission says a one ounce serving of pistachios (about 47 nuts) provides more fiber than a half cup of spinach, or an orange or apple. They are good sources of vitamin B-6, thiamin, copper, phosphorus, and magnesium. An ounce of pistachios is about 165 calories, too. Archeologists discovered pistachio nuts at a dig site in Jarmo (near NW Iraq) that dates back to 6750 BCE, but then a large gap exists until around 2000 BCE when the nuts began wider cultivation. Jumping much later to 1854 when Charles Mason, a seed distributor in California brought the pistachio to this country. Today California is the 2nd largest producer of pistachio nuts after Iran. The trees grow 30+ feet tall with 4 to 8 inch long leaves. The fruit has a hard shell that changes from green to yellow/red when ripe, then splits partially open. Splitting is a trait selected by humans. Each tree produces around 50,000 nuts every two years!